The Pediatric Diabetes Education Center at Winthrop-University Hospital is committed to quality education and treatment of all children, teens and young adults with diabetes as well as their parents, families and significant others. 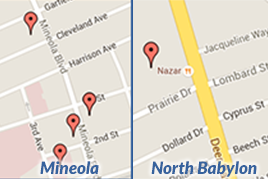 Our team approach allows us to provide individualized care to each family we serve. 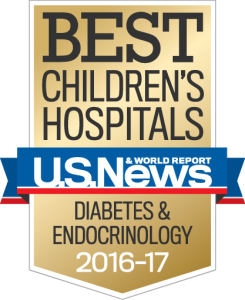 We are also recognized as one of the Best Children’s Hospitals for Diabetes and Endocrinology by the U.S. News and World Report organization. The Pediatric Endocrinologists, Diabetes Educators, Nutritionists, Social Workers and Child Life Specialists all combine their efforts to provide a place where each child feels special and every families’ needs are met. Our teens have a place where they feel they can be guided and understood as they face the challenges of adolescence and move from dependence to an independent lifestyle. Our young adults appreciate our flexible scheduling and our assistance as they move to the adult world and transition to adult care. Our program is nationally recognized by the American Diabetes Association and has one of the largest insulin pump programs in Long Island, New York. This comprehensive approach to care provides individual education and treatment, counseling services, support groups, seminars and symposiums not only for our families, but for the local community we serve. Research is an important part of our program. Finding a cure, as well as easier methods of caring for diabetes, is everyone’s goal. Our Research Investigators are involved in numerous projects that one day may provide us with the cure we all desire. But until then, comprehensive quality care for all we serve is our daily goal. Until there’s a cure, there’s Winthrop.